What can textiles, teapots, quince jam-and a moose carcass that Thomas Jefferson had shipped to France-reveal about the formation of early US national identity? In this wide-ranging and original study, Kariann Yokota combines a rigorous examination of material objects with insights from postcolonial theory to propose a bold new interpretation of American history. 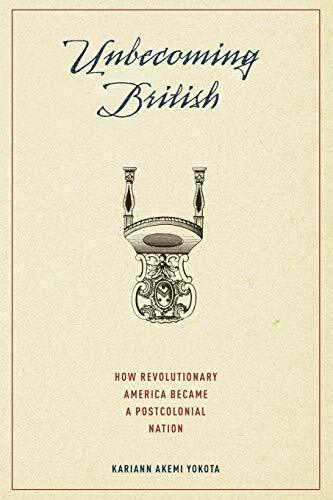 Yokota examines a wealth of evidence from the fields of geography, decorative arts, intellectual history and technology to suggest that the process of Unbecoming British was not an easy one. 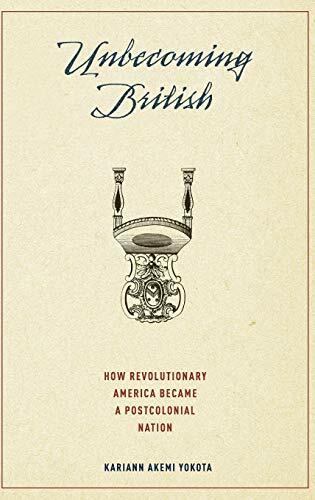 Far from having its footing or its future secure, the new nation struggled to define itself economically, politically and culturally in the years between the first and the second American revolution, the War of 1812. Out of this confusion of hope and exploitation, insecurity and vision, emerged a uniquely American national identity.